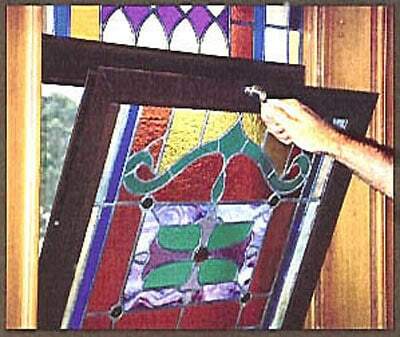 Stained Glass Window RestorationO'Brien Stained Glass Co. The following pictures demonstrate some of the phases “before” and “after” for a project. The exposed woodwork was weathering at a rapid pace. Problems with the woodwork were addressed thoroughly with repairs, replacement, and reinforcement. 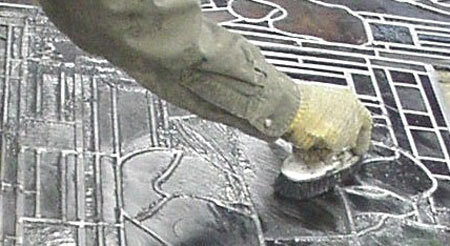 The rebuilt panels are grouted (cemented) with a waterproofing material on both sides. View from the inside where the stained glass panels once again show their true beauty – freed of the accumulated grit of a century. 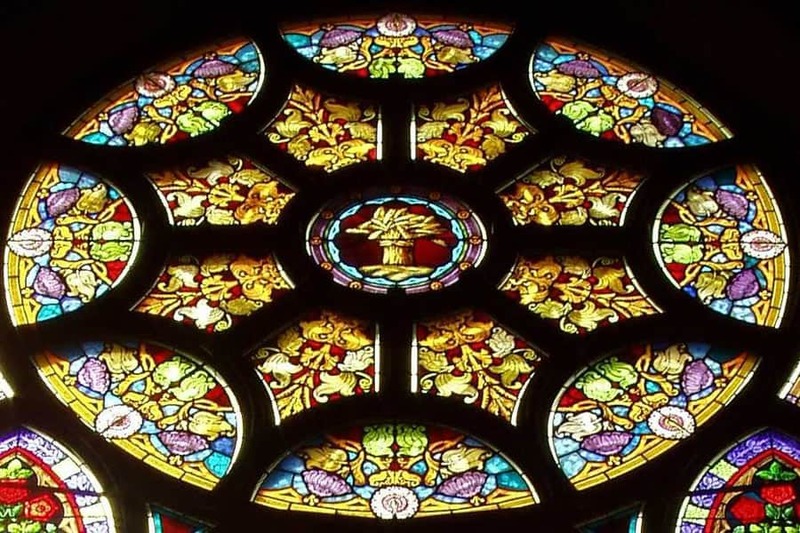 The ornate and highly decorated stained glass panels were also quite distressed owing to the deteriorated lead. The stained glass panels were removed and transferred to soaking pans. 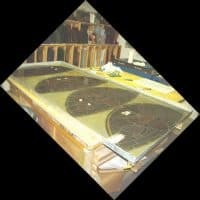 The panels were rebuilt using new “restoration grade” lead with high contents of tin, antimony, and copper for extended life. A new doubleglazed aluminum ventilator frame was installed. 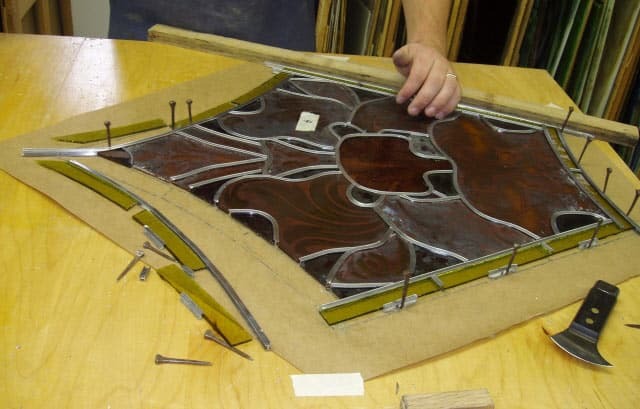 Before the artglass was re-installed, it was completely rebuilt. 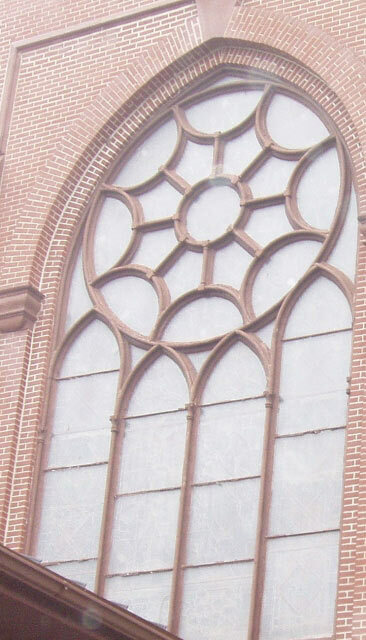 Originally the artglass had been in sliding sash in doublehung windows. 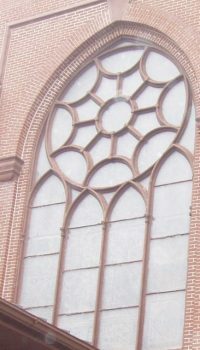 The design was interrupted in the center by the wood frames. This configuration more nearly completes the feel and balance of the original design.